According to the World Health Organisation it is estimated that 250 million people worldwide are chronically infected with the hepatitis B virus (HBV) and 70 million with the hepatitis C virus (HCV). Untreated, these infections can lead to premature death from cirrhosis and liver cancer; recent statistics suggest that together HBV and HCV are responsible for more deaths than HIV. Effective treatment is available for patients infected with HBV, and when commenced prior to the development of liver failure or cancer these drugs restore life expectancy to normal. Antiviral drugs for the treatment of HCV cure the infection completely in over 95% of cases allowing the liver to repair itself so long as the treatment is initiated in time. Despite these effective therapies the mortality from viral hepatitis continues to climb – so what is the problem? The majority of people who are chronically infected with HBV or HCV have no symptoms and are therefore completely unaware of the danger they are facing. Without knowledge of their infection there is no motivation to seek medical help. Symptoms frequently emerge at advanced stages of disease when it is too late to treat with antiviral drugs. In Western Europe and North America it is thought that between 40% and 80% of people with HBV or HCV are aware of their infections but these are relatively low prevalence regions. In contrast, only 5 – 10% of people living with viral hepatitis in low or low-middle income countries are aware of their infection. Thus worldwide it is estimated that over 250 million people are living with viral hepatitis and potentially will die without novel public health initiatives. To address this problem, the World Hepatitis Association along with other organisations are focussing their public awareness campaigns around the theme of Finding the Missing Millions. In 2016, WHO published a framework for control of viral hepatitis globally which set ambitious targets for the reduction of new infections and mortality by 2030. In order for this to succeed the campaign to find the missing millions needs to be phenomenally successful. One of the vital first steps in identifying viral hepatitis cases is to raise public awareness about these infections. Unlike HIV or TB public knowledge about viral hepatitis is incredibly sparse. 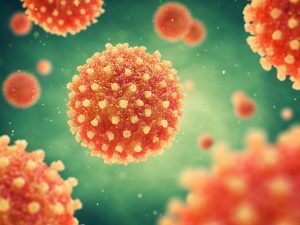 For instance, in West Africa, where 1 in 10 of the population is infected with HBV, less than 5% of the population knew anything about the virus. Clearly no one is going to seek a diagnostic test for a virus causing no symptoms that they have never heard of. Raising professional awareness is also critical to case finding. Opportunities to test for HBV and HCV are more likely to occur in primary care than in specialist hepatology clinics. Identifying people with viral hepatitis will inevitably require some type of screening programmes. In certain circumstances screening might be targeted towards people who are most at risk of infection – for example HCV screening amongst people who inject drugs or screening immigrants from high prevalence countries. However in many regions only population-wide screening initiatives will be effective as there are no specific sub-populations at risk and the prevalence of infection is high. This is the case for HBV in West Africa where the virus is spread during childbirth and early childhood and 12% of the adult population may be infected. This type of screening initiative will undoubtedly be resource intensive and is likely to face resistance from health authorities with constrained budgets. This brings us back to raising public awareness – who is going to invest in a disease that no one has heard of? If we want to find the missing millions we need to enlighten the uninformed billions. Read Dr Ana Ortega-Prieto’s post on why she switched her research focus from hepatitis C to hepatitis B.